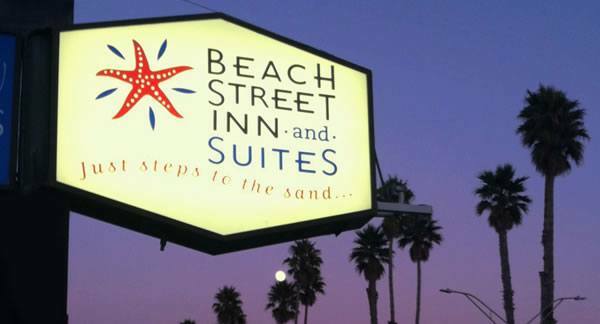 Beach Street Inn and Suites regularly provides discounts on Santa Cruz Hotel rooms, offer Santa Cruz Lodging Specials, off-season rates, and weekly discounted rates. Book direct with our hotel on the beach by calling (831) 423-3031 and always get the best rate available. Santa Cruz Mountain wines are some of the most unique and distinct wines. The mountains, ocean, and valley help create different micro-climates and allow for an array of different soils. This allows grape growers the opportunity to create wines unlike those seen anywhere else. Beach Street Inn and Suites is proud to offer a wine tasting package this fall featuring two of the Santa Cruz Mountain’s premier wineries. Both MJA and Santa Cruz Mountain vineyard offer wines made from locally grown grapes, and have wines with worldly influences as well. You will be sure to fall in love with these wines as you have fallen in love with Santa Cruz. Book this package for one-night Sunday through Thursday and receive 2 complimentary wine tasting passes to each winery, along with free parking. This promotion only runs until November 30th and is a 65-dollar value. Make sure you don’t miss out on this great opportunity and book your stay now by calling (831) 423-3031. *Restrictions and blackout dates may apply, not valid on existing reservations. Be Notified of New Promotions! Currently we do not have any active promotions. However, please follow us on Facebook and sign up for our email specials newsletter (see below) to be notified of new promotions and specials as soon as they are announced. Found our rooms cheaper online? Call us direct and we’ll meet or beat the price. Must be same date and room type. Or make a reservation over the phone by calling (831) 423-3031.